Catch up with Jim Cramer's best blogs this week as he discusses LinkedIn's turmoil, an unwelcome trip back to the futures and how machines are prolonging the market's current turmoil. Why LinkedIn is coming unglued. The power of a few to up-end the entire stock market. Why machines are making the market feel more pain. 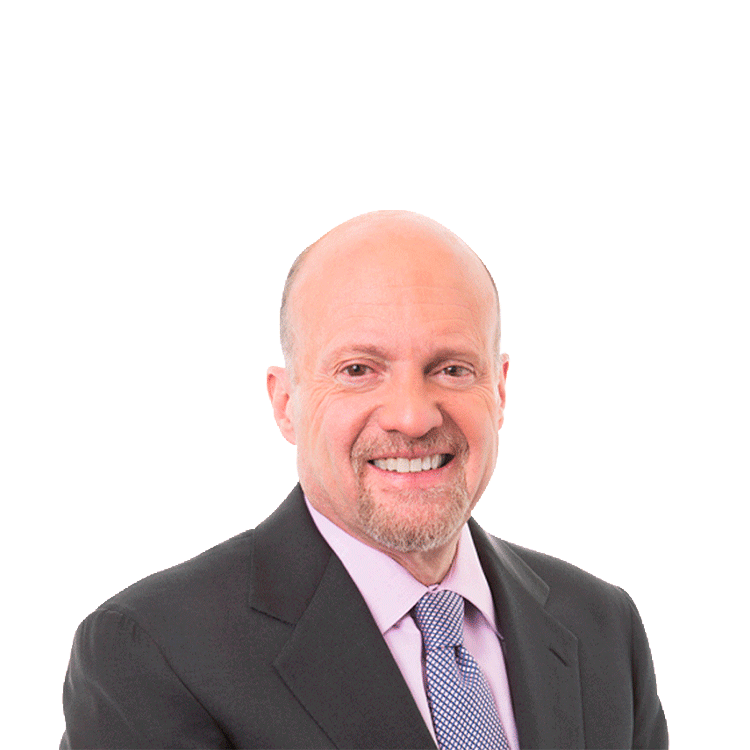 Click here for information on RealMoney, where you can see all the blogs, including Jim Cramer's -- and reader comments -- in real time. I lived through the dot-com period. I lived through it and saw more than 300 companies fail. Their failure always started the same way that LinkedIn's (LNKD stock is falling. But here's the issue. LinkedIn has nothing in common with that period. It is immensely profitable. It earned $1.61 a share in 2013, $2.02 in 2014, $2.84 in 2015, and even after the so-called horrendous guidance, it is estimated to earn $3.30 this year, $4.35 next year and $5.80 in 2018. Now here's the problem. Let's say it is actually only going to do $3 in 2016, which I think is lowballing it. What do you pay for a company with earnings that are still growing but slowing? I think it is very hard to pay much more than you would for the average stock, which is 17x earnings. That produces a price of $51. By that measure, it would be cut in half. Click Here to Get In on TheStreet's Free Open House -- Going on Now! But then you have to ask is this amazing, unique franchise only worth $7 billion? That's what it would fall to. That's too small a market cap. There are too many companies that would want this business at those prices. Plus, this market has a nasty habit of taking a stock down and then marking it at the lowest point as brokers can say, "Look, I got you out at a price that on average is nicely above where it went out." So no one can bottom-fish today. That leaves the stock in total limbo. No one who downgraded it today is going to upgrade it Monday. There will be supporters. But they will be timid. Let's put it all together: You have a stock in free-fall where sellers will take it as low as they want because they don't have any way to value it anymore. It had already screwed up once. They are done with it. However, it is nowhere close to where it represented value. That means you are flying blind. I think the last price today and the first price Monday might be intriguing. Nevertheless, broken growth stories tend, in this market, to stay broken until the next quarter is reported and it shows improvement. Yet it is the pattern we have seen of momentum turning to value stocks. It's wider and deeper than the River Jordan and we still have no idea if there is milk and honey on the other side. In all the years I have been investing, since the dawn of the baskets of stock futures -- set up, ironically, by futures specialists who traded in wheat and corn in Kansas City back in 1982 -- I have only seen the futures overwhelm the common stocks one other time, in 1987. It was at that point when the selling of a few funds into the futures market simply obliterated the common stocks, all of them, and made them a farce. The unmitigated power of a few sellers using margin to blow up the entire common stock market in a Terminator-like fashion caused a federal investigation by the Treasury and brought on trading limits to cool off what would have destroyed the stock market had the Fed not intervened midday after the Monday crash, causing the market to stop going down at literally half the price it was less than 10 days before. Not many remember those days when companies shed half their value over a few minutes' time, although the flash crash demonstrated that it could happen again. But the flash crash was contained in a day and was a terrific buying opportunity. The crash of 1987 wiped out so many investors and made stock trading so uncertain that it took months before people realized that the stocks had just totally and completely divorced themselves from the fundamentals. Today's action is, frankly, more insidious because it's not stopping and it is totally keyed on a couple of commodities that if they turn up we are saved and if they don't we are due for a far most nasty fall except for those stocks with yield protection. These are not dire times. Other than some European banks that seem to need capital that can be supplied, nothing is dire. There is no systemic risk. There is paralysis and buybacks that aren't working except for the really aggressive ones. The earnings for the most part have been fine. The valuations aren't extreme. But the combination of the futures and the exchange-traded funds have pretty much made stocks themselves an irrelevance and the companies can't get down there fast enough to absorb the mechanistic selling. I remember talking to big companies back in 1987 to find out who was going to go bankrupt. There weren't any companies other than financials that were destroyed by the crash. That won't be the case this time because of oil companies that can't make it at these prices. It wasn't systemic in 1987. It isn't systemic now. But we are higher and there is much less real volume because so many players have been taken out and shot and so many others now short vs. then. This is not a message of gloom. It is a message of historical explanation and context. The dispiriting days just eviscerate your confidence, don't they? They are hard not to take personally. What did you do wrong when you thought that maybe a bank stock was cheap because it sold below book value, historically where a stock really is cheap provided it is tangible and scrubbed? What did you do wrong thinking that Gilead (GILD - Get Report) would have a big number and you bought more and more on the way down, and then it does, and it is the wrong day and maybe it goes down? How could you be so off buying Carnival (CCL - Get Report) when its largest cost -- fuel -- is going down while its biggest revenue sources, tickets and on board expenses, are going higher? Yet you were crushed yesterday because of what happened at Royal Caribbean (RCL - Get Report) , which, may I state for the record, wasn't all that bad to begin with. Do you deserve to get your lungs ripped out buying Southwest Air (LUV - Get Report) , the best, most consistent airline in terms of long-term profitability, at 8x earnings, knowing that those estimates might be too low if bookings stay strong and oil keeps going lower? I mean, you got the direction of oil right, you got the capacity right, you got the ticket prices right, and yet you still got clobbered. I can spin these tales all over the place, tales of stocks being fundamentally cheap vs. any historical metric and it means nothing, nothing at all, especially when you compare the yields of the slower growth stocks and the potential capital appreciation of the high growth stocks. But it just doesn't matter... until it does, although we have no idea when it will. Look, I am as fed up as you are about how stocks could be so capricious and divorced from both the current and future fundamentals as I think they are. But so what? They are. We have to collectively get over it and find ways to beat it: higher dividends, huge earnings upside, a sense that something much better than expected is about to happen. Tall orders, all. And even when they happen you get a company like Action Alerts PLUS charity portfolio holding Alphabet (GOOGL - Get Report) up 60, that ends up just 10 points higher. We can blame the Fed for not making things clear. We can blame the futures and algorithmic folks for programming the machines the way they do. Or we can just face something that I have been toying with for months now: We have a flawed asset class that doesn't trade on anything but whim, emotion and the basket it's contained in. Nothing changes until either management breaks up a company or sells out -- and even then, in the last few months that doesn't matter. Look at Allergan (AGN - Get Report) , Tyco (TYC , DuPont (DD , Dow (DOW and Starwood (HOT . They all act as poorly, if not worse, than stocks that aren't involved in combination. Maybe that's just more evidence of what happens when you take the animal spirits out of stocks and just shoot them. In the old days, when I traded with Karen Cramer, she would sit there and short every rally and buy the dips, but less each time because she said, "Look, you just have to let this market take itself to where it wants to go. To where there are no more sellers. Where you would feel like an idiot to sell." In some ways, that's what has to happen here. But in some ways, given that there are more machines making decisions than people, they just don't feel the idiocy the way humans did. So the pain, arguably, has to last much longer than it would in the old days. And that's just what's happening, with periods of oversold rapture that make you wish you were 200% long for a brief moment before they cut your head off again. At the time of publication, Jim Cramer's charitable trust Action Alerts PLUS held no positions in stocks mentioned.